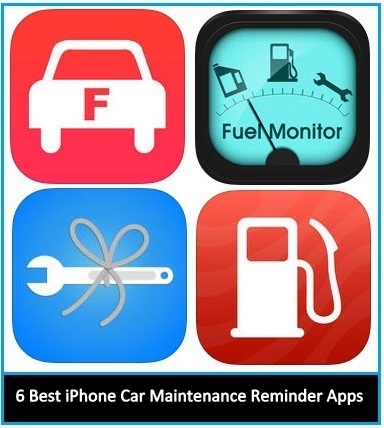 A list of best iPhone Car maintenance reminder apps 2019, keep your car maintenance schedule on iPhone instead of paperwork. 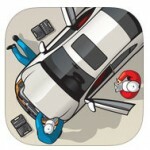 Really, Car maintenance iPhone apps can help you to maintain your car in a better way and easily. Not any special functionality for car maintenance in Snow, winter or summer. Undoubtedly, it’ would furnish great utility in every season during the entire year. Indeed this is the roundup after the best online auto body repair estimator apps for iPhone and iPad. The selected apps can be helpful as best iPhone car maintenance reminder apps. Easy to use and simple app, so you do not need to ask the automotive engineer, once a download app and track and remind tire pressure, fuel efficiency, oil change, fuel log and everything else. Here given some app is also efficient to work as car maintenance cost calculator while some as for car maintenance. Are you searching for the best iPhone Car insurance apps? Track multiple Cars and Vehicle maintenance on a single app. So get from below various useful apps for car drivers and Car owners too. Fuel monitor is an exclusive app that compatible with Apple iPhone 6, 6 plus and iOS 8/9/10/iOS 11 and later compatible All device. It provides reminder including car service interval, time to the time maintenance schedule. Also, it can automatically calculate fuel consumption; easily track fuel log likely time, odometer, Price, quantity. You can Sync data between devices by iCloud. 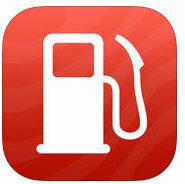 For Users easy understanding, the app provides details in Chart for Service cost, fuel Cost, repair cost. Really, the app made with more customize feature which things user like most. Ultimately, this is a useful app for Car drivers and car owners. Auto Care Free is assisting to maintain car service in your busy life. Installed App is only one, but you can manage multiple cars through the auto carefree car maintenance reminder app. It’ll remind you as per your settings either by month or distance as well by Specific date or odometer. Pro Auto Care furnishes better functionality than Free Auto care app. Pro feature including iCloud, chart and Statistics (Fuel economy, Gas Prices, Gas expenses, cost per distance traveled), Air Print and Dropbox Storage facility. Road Trip app is a little expansive but valuable purchase. At all, the app is all rounder work giver from Car maintenance to calculate vehicle expense. It can remind you even your other vehicles or Car Oil change date time, Car insurance due for renew time, Transmission Oil and Fuel filter services latest function available in them. Of late, truly it’s the best of the best app out of all best iPhone Car maintenance reminder apps 2015. The Sleek app is compatible with iOS 6 or later iOS devices. Best iPhone Car Service cost calculator app Gas manager is the alternate app for road trip app. Even though, a Gas manager is less Clever than Road Trip. Vehicle maintenance log app is a great iOS 8, iOS 9/10, iOS 11 and Later compatible app. that can track your vehicles milestones, for example, coolant level, break services, transmission services, oil change, and automotive engine maintenance. App is convenient for almost brand of vehicles Such as Acura, Audi, BMW, Buick, Nissan, Toyota, Honda, Ford, Jeep, Skoda, Hummer, Porsche, Jaguar, Mercedes-Benz, Mercury, Hyundai, Lincoln and many more. Car Minder Plus is popular Car maintenance and Gas log (MPG). Its beautiful User interface is attracting most users. Manage multiple cars (s) Gas log with Car Minder Plus. 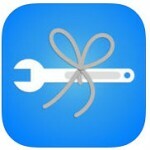 If you’ve best iPhone Car maintenance reminder apps, then you can share with us without hesitate. The app is selected as better reviews for vehicle/auto maintenance application for the iOS device.